How has California’s landscape changed? What did now-familiar places look like during prior centuries? What can the past teach us about designing future landscapes? 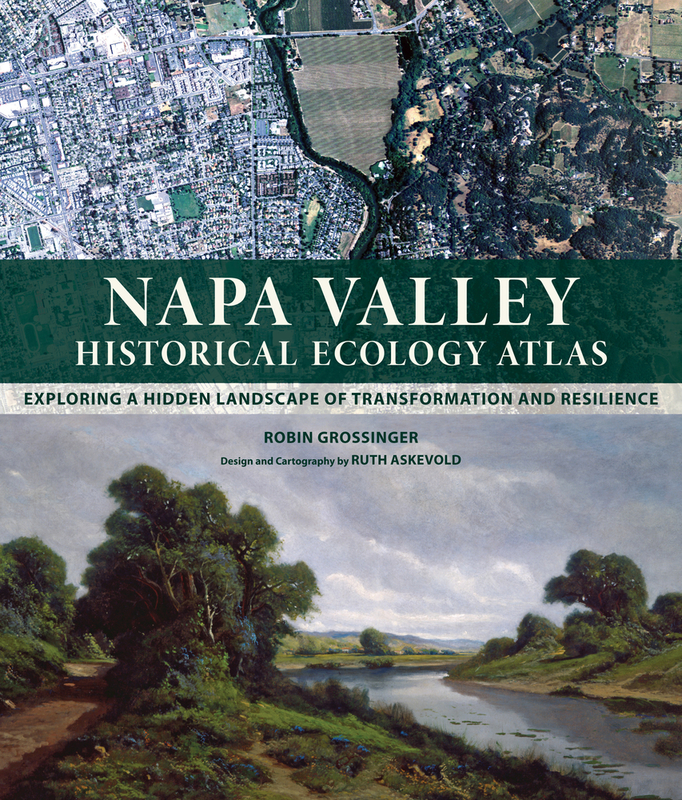 The Napa Valley Historical Ecology Atlas explores these questions by taking readers on a dazzling visual tour of Napa Valley from the early 1800s onward—a forgotten land of brilliant wildflower fields, lush wetlands, and grand oak savannas. 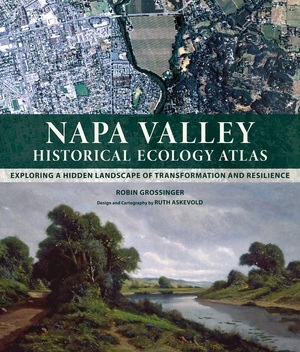 Robin Grossinger weaves together rarely-seen historical maps, travelers’s accounts, photographs, and paintings to reconstruct early Napa Valley and document its physical transformation over the past two centuries. The Atlas provides a fascinating new perspective on this iconic landscape, showing the natural heritage that has enabled the agricultural success of the region today. The innovative research of Grossinger and his historical ecology team allows us to visualize the past in unprecedented detail, improving our understanding of the living landscapes we inhabit and suggesting strategies to increase their health and resilience in the future. Robin Grossinger is Director of the Historical Ecology Program at the San Francisco Estuary Institute.